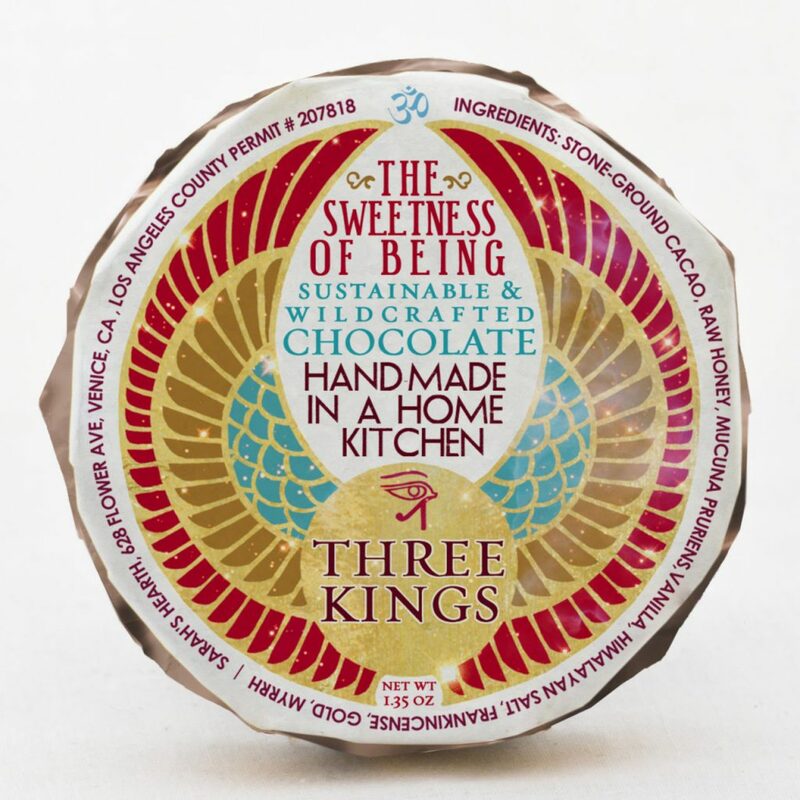 Package Design for The Sweetness Of Being. “The Sweetness of Being” was born through a chocolatier named Sarah Engelhart and her personal inner journey towards Divine Love. Each alchemical chocolate bar is lovingly hand-crafted and home made in Venice, California using freshly stone-ground organic cacao and organic honey sourced from a 100% solar powered honey farm. The Sweetness of Being makes chocolate hoping that each bite catapults you into the deepest appreciation for life and Love.